One U.S. City Could Host the 2024 Olympics — But Which Will Vie for the Chance? The United States Olympic Committee board of directors approved a U.S. bid to host the 2024 Olympic and Paralympic games on Tuesday, confirming speculations that have been swirling since Chicago lost the 2016 games to Rio de Janeiro. The unanimous decision was made after the four U.S. cities under consideration to host — Washington D.C., San Francisco, Los Angeles, and Boston — presented their pitches to the USOC. We are excited to announce our plans to put forth a bid for the 2024 Games and look forward to taking the next step of selecting from a group of four world-class cities to present a compelling and successful bid. We’re grateful to the civic and political leaders in each of the four cities for the partnership that’s been demonstrated thus far, and confident that the deliberative process we’ve put in place is going to result in a strong U.S. bid that can truly serve the athletes and the Olympic and Paralympic movements. That is very unified and all, but the USOC is now tasked with choosing the best city to offer up to the International Olympic Committee for consideration. There can only be one, and we wouldn't want another let down, would we, Chicago?! 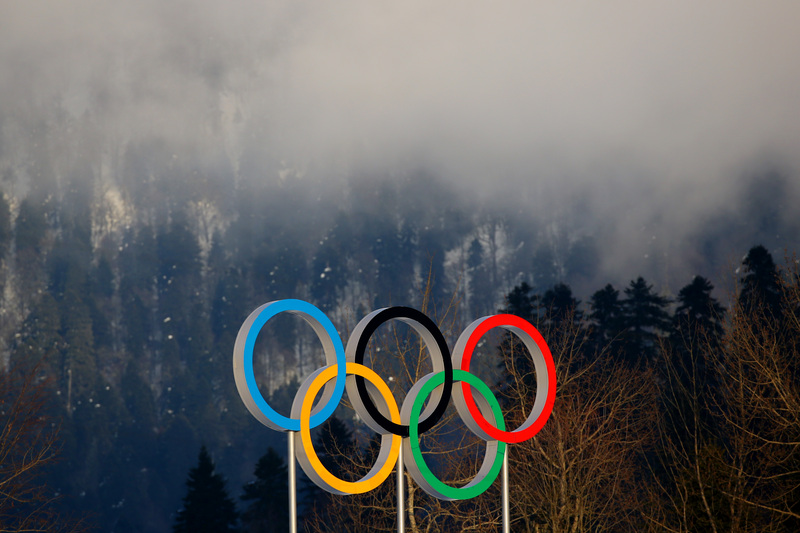 The organization expects to have a city selected by early 2015, but it has until September 15, 2015 to submit its bid to the head honchos at the IOC. The U.S. opting out of the Olympic-bidding rat race for the 2020 games, which were awarded to Tokyo. The U.S. has hosted the games a total of eight times, four each for summer and winter, holding the record for the most number of games hosted. But is that enough for America? Absolutely not. After all, we're very accommodating folks. I imagine that there are some tough decisions ahead of the USOC, because if we lose again we will certainly never forgive them. We may be hospitable, but we are also ruthless. I spent a lot of time wracking my brain, trying to figure out what the international committee really wants out of a host city. Economic stability? Existing infrastructure? Accessibility for tourism? So, here is my visual presentations of which city should host the Olympics based one of the few things our very diverse nation has in common — superficiality. Please imagine the giant Olympic rings in place. And always imagine America being No. 1. The nation's capital seems like a great choice for any and all things American. And just imagine ol' Abe staring right through the rings, reflecting on how far this country has come from his day, or at least feeling deeply confused about why cops shoot black men at an overwhelming frequency! Okay, here is what I'm picturing: We replicate a ship used in the 1700s and re-create the Boston Tea Party with the rings on board! Here's the kicker — Ted Cruz can steer the ship! Get yer hot dogs ready, America! Let's set the rings afloat on a raft made of raincoats in their very own "escape" from Alcatraz! And thanks to some Dutch scientists, we know that there is a possibility that they could make it back across the choppy Bay. Not on their own, of course. Yeah, yeah, yeah. The rings in front of the Hollywood sign would be a great photo op and would make America look super cool. But also, L.A. has hosted the summer Olympics twice already. Twice! We've over you, L.A., you beautiful SOB.